Will the cloud help to manage your operations more effectively? 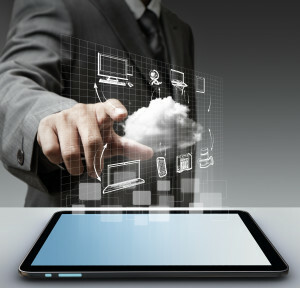 Epping accountant, Wen Wen, asks if cloud computing will help you manage YOUR business? Recently, accounting firm William Buck conducted a series of interviews with small business owners in a variety of industries. The goal was to identify their challenges, opportunities and threats. The interviews revealed that many small business owners are looking to the cloud to manage their operations more effectively. Decide which of your business processes or systems should be moved to the cloud, taking a broader approach than just your accounting systems. Access to live data, with live cash flow information: Using this data to track business results and target the action required in a timely manner has led to substantive changes in those businesses. Automation of information flow: Removing the data input stage creates a more time effective process, allowing staff to concentrate on other areas of the business. Ease of access: The whole team, from the owner, to finance, sales, external advisers and so on can access the same data at the same time, and load new data (such as sales or orders) directly to the system. Streamlining of processes: Moving to the cloud is a chance to review, simplify, and streamline what the business does and how it does it. Making information input and extraction simpler creates knock-on benefits throughout the business. The accountants at our Epping office provide advice on cloud accounting and also assist you to maintain your cloud accounting.